PMPA’s Business Trends Index for November 2013 is 116, down 10 points from last month’s value, yet at the highest value we recall for November. 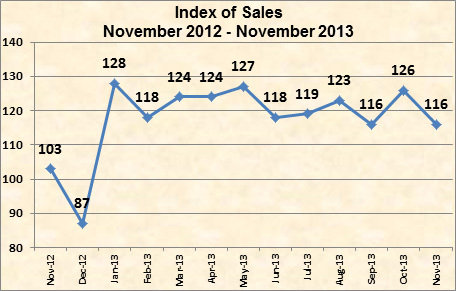 November is typically a slow sales month due to seasonal factors. The index is maintaining an average for calendar year 2013 of 122, and for trailing 12 months of 119. November 2013 shipments are 113% of October 2012. 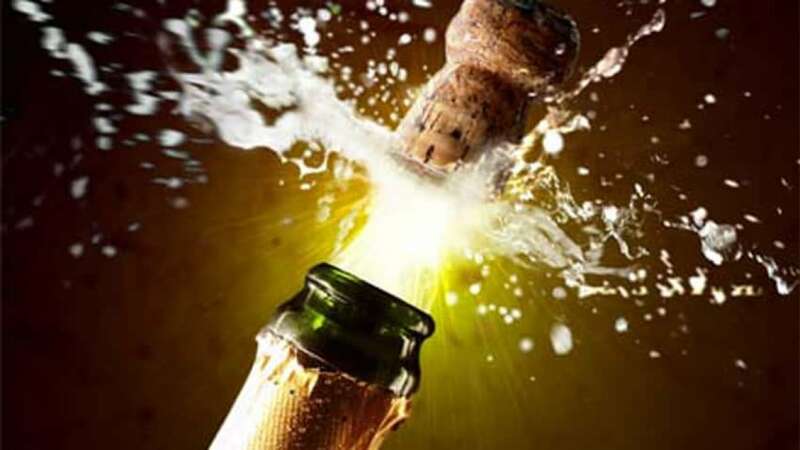 “Manufacturing expanded in June as the PMI™ registered 50.9 percent, an increase of 1.9 percentage points when compared to May’s reading of 49 percent. 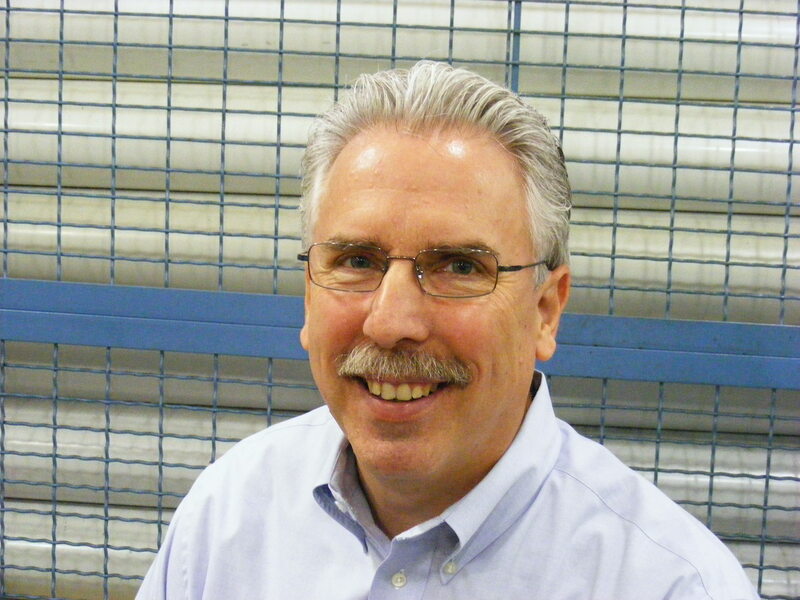 June’s reading of 50.9 percent reflects the resumption of growth in the manufacturing sector for 2013, following the only month of contraction for the year in May.”- Bradley Holcomb, Chairman of the Institute for Supply Management Business Survey Committee. Precision machined products are widely used key components used in a host of manufactured and durable goods. 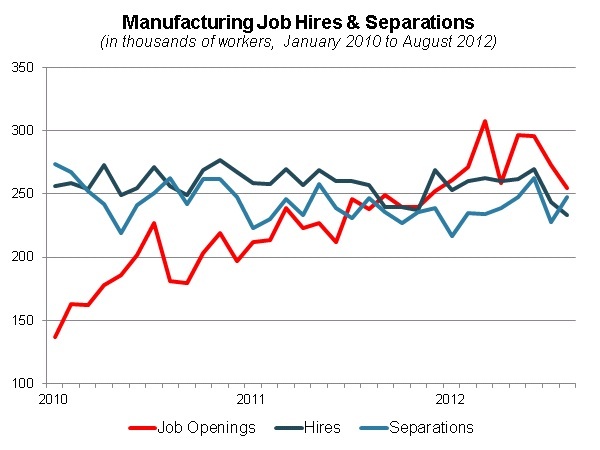 Precision machined products are a submarket of Fabricated Metals, which is tracked in this ISM Report on Manufacturing. 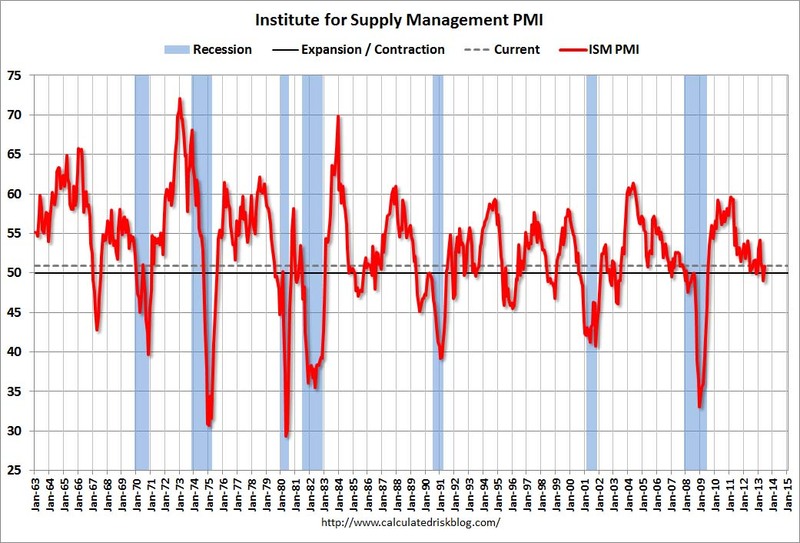 ISM’s Production Index registered 53.4 percent in June, which is an increase of 4.8 percentage points when compared to the 48.6 percent reported in May. How do your June shipments compare to this benchmark? 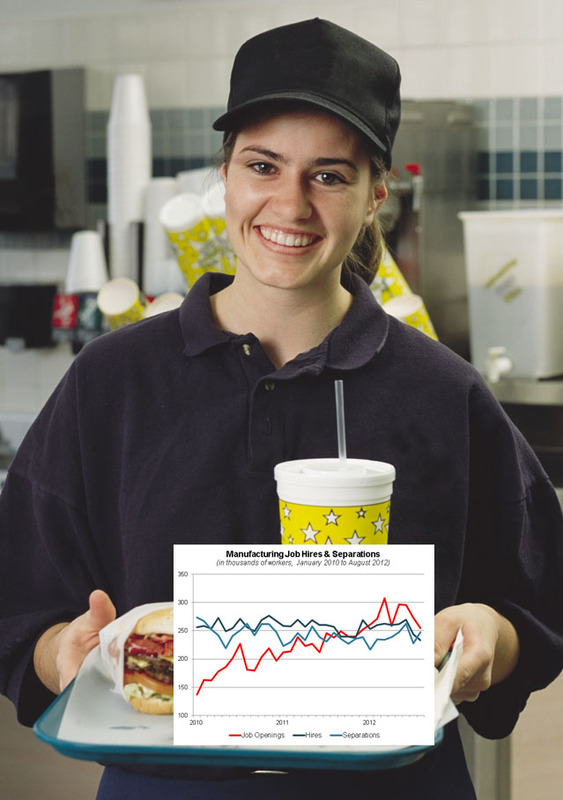 The ISM report showed 11 industries reporting growth in production during the month of June — listed in order — Apparel, Leather & Allied Products; Electrical Equipment, Appliances & Components; Furniture & Related Products; Paper Products; Nonmetallic Mineral Products; Wood Products; Fabricated Metal Products; Primary Metals; Petroleum & Coal Products; Food, Beverage & Tobacco Products; and Computer & Electronic Products. The three industries reporting a decrease in production in June are: Chemical Products; Machinery; and Transportation Equipment. We are glad to see manufacturing back in growth mode, however, we were not pleased with this month’s first sign of contraction in employment. 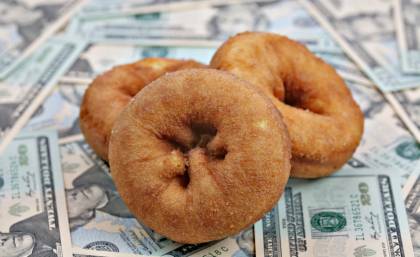 We are betting dollars to donuts (remember when there used to be a real difference between dollars and donuts?) that the slowdown in hiring is related to employers’ concerns over Affordable Care Act.